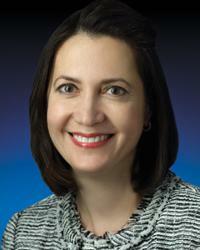 Maria Litzendorf, MD, is a board-certified vascular surgeon at MedStar Heart & Vascular Institute. She is trained in the treatment of both arterial and venous diseases and has a specific interest in venous pathology and in limb salvage. Dr. Litzendorf received her medical degree from Eastern Virginia Medical School. She then completed a general surgery residency at Boston University Medical Center followed by a vascular surgery fellowship at The Ohio State University Medical Center. Dr. Litzendorf has extensive experience in both cosmetic and non-cosmetic vein procedures. In addition, she has a background in wound care and diabetic foot care. She has actively participated in the establishment of a limb salvage center and strives to use the newest endovascular techniques available in the treatment of peripheral arterial disease (PAD). Prior to pursuing medicine, Dr. Litzendorf also completed a Master's degree in English literature at the College of William and Mary. As a former English teacher, Dr. Litzendorf is an advocate for patient education and emphasizes an individualized approach to meeting her patient's health care needs and goals. She has published book chapters and articles and is a member of several national societies, including the Society for Vascular Surgery and the Society for Clinical Vascular Surgery. "My goal is to build long-term relationships with my patients and to deliver high quality, compassionate care. To be able to do that, a big part of my practice involves listening. It is important to me that my patients feel that I deliver care in a thoughtful way, and that they have faith in me to do what is best for them."